Yesterday we told you about rising violence in France over President Emanuel Macron’s environmentalist carbon tax hikes, which are wreaking havoc on families struggling to get by. 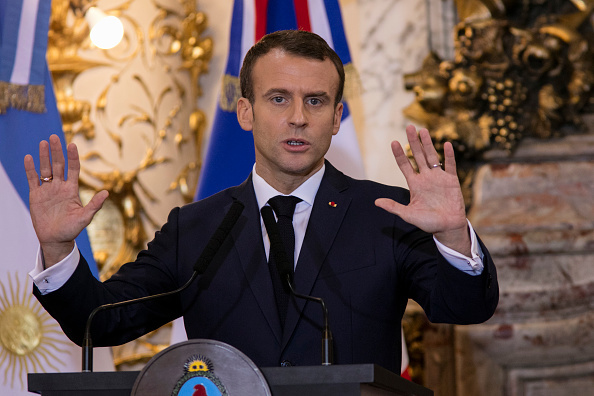 But in what’s being called a “major concession,” Macron has reportedly agreed to suspend the fuel price hikes, which were scheduled to increase next month. It’s a major victory for the protestors. The lesson from all of this is clear – despite what the progressive elite may believe, regular citizens simply do not want regressive, environmentalist carbon tax hikes forced upon them. Environmentalists in America want to enact the same reckless policies that brought violence and chaos to France, and it’s not theoretical – just last week, members of Congress proposed legislation that would implement our very own carbon tax. France should be a warning for America of the consequences that these reckless taxes cause. It’s important that we remain vigilant and fight these environmentalist carbon taxes, before what’s happening in Europe comes to our shores.